Once Upon A Find offers one of a kind gifts. Quality pewter products including our customized Apple Blossom keepsakes, licensed military & collegiate, baby dishes, jewelry, key chains, ornaments, beer steins, wine glasses, etc. 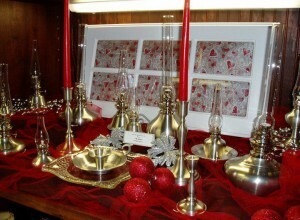 along with our exclusive (Local Chumleys) artist gallery, and fine antiques & collectibles. Coming soon! Our Home Decor Center featuring customize window treatments and much more! Hours of Operation: Open 7 Days a Week!